Playful and fun, constant and everywhere, love fills the pages of this buoyant picture book for adorers of all ages. It’s like being happy…times two! 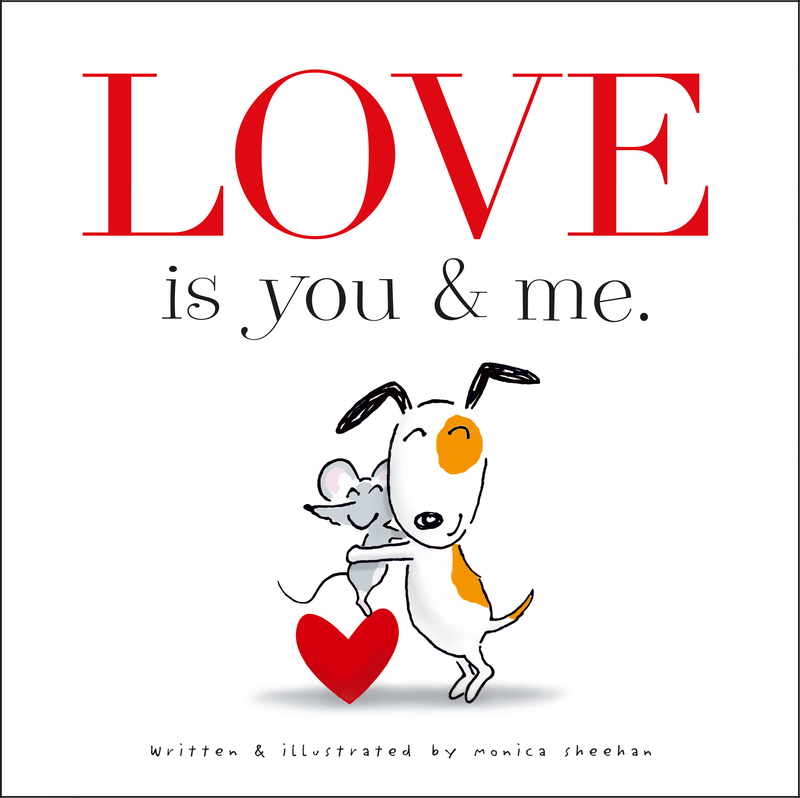 This adorable book by bestselling author Monica Sheehan helps us to remember that love—whether between a parent and child, best friends, or even a dog and a mouse—is the most wonderful offering of all. Love Is You & Me. is a vibrant, uplifting title that’s perfect for Valentine’s Day or any time of the year. An ideal gift for loved ones, this jacketed hardcover edition contains the same text as the board book, along with a bookplate and two additional spreads of artwork. Book Cover Image (jpg): Love is You & Me.